Lehl created this image with professional snowboarder Steve Fisher in the mountains of Breckenridge, Colorado. 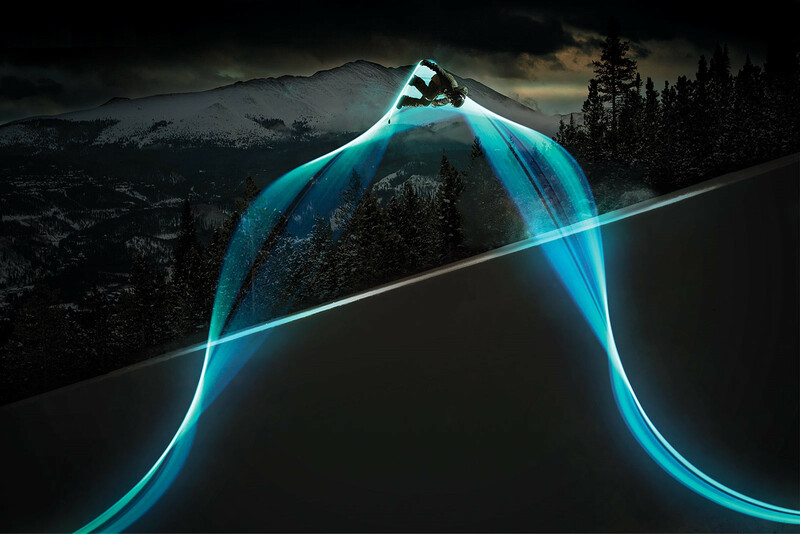 Some speculate that Lehl infused the snowboard with LED lighting and used a traditional long exposure technique, utilizing a flash to freeze the motion of the snowboarder at the peak of his jump. Others tout the “it was all done in Photoshop” theory, believing that Lehl combined multiple images in Photoshop to create his final masterpiece.